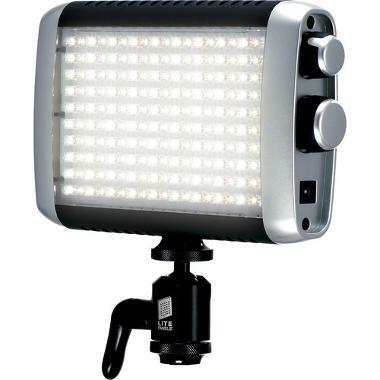 Litepanels Croma On-Camera LED Light will give you easy-to-use continuous light from your camera for up to 1.5 hours on (6) AA batteries. 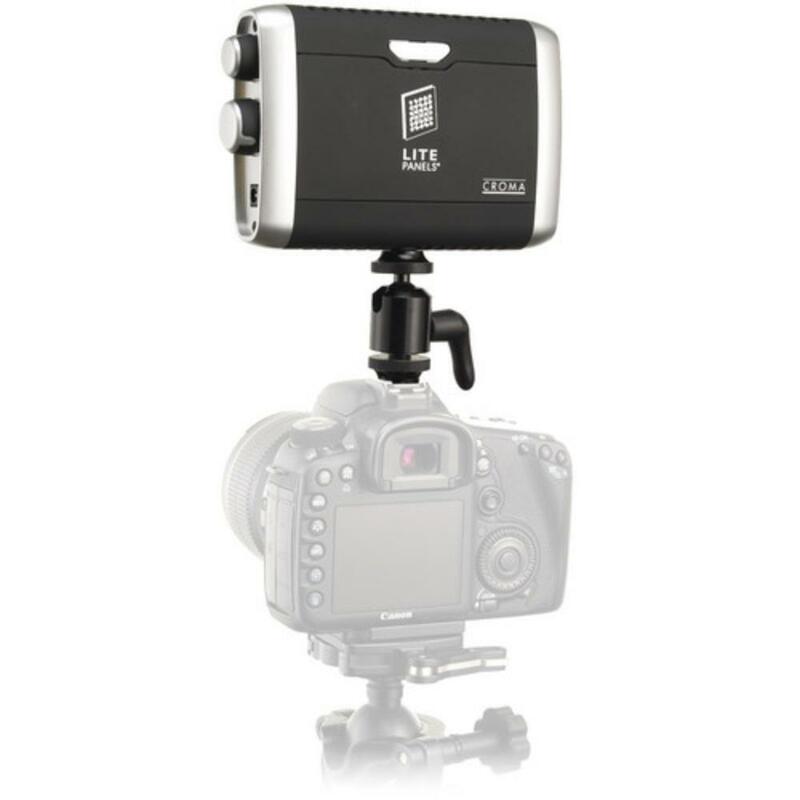 It is flicker-free and suitable for a variety of video applications and most suited to event videography, quick interviews, and in small shooting spaces. It also provides easy, small amounts of fill light for photographers. 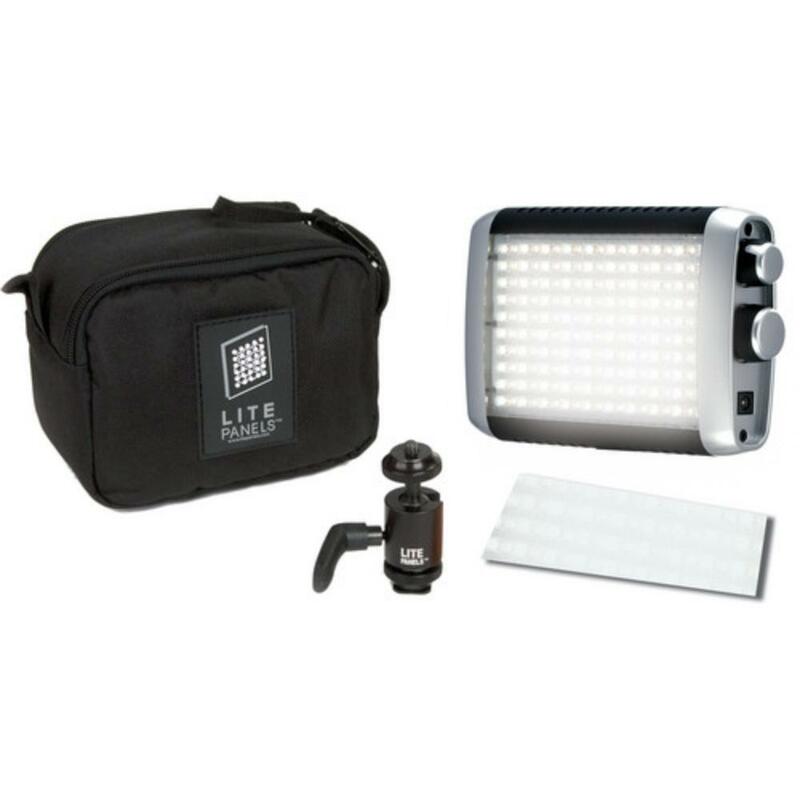 • This light requires (6) AA batteries to run or must be plugged in with the included AC adapter. It is also compatible with an Anton Bauer battery with D-Tap (not included). • This continuous light natively changes color temperature.